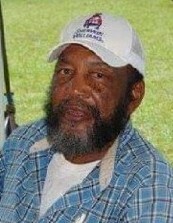 Theodore J. Washington, 68, of Green Pond, SC died Saturday, February 9, 2019 at his residence. Visitation will be held from 5-7 pm Friday, February 15, 2019, at Allen Funeral Home Chapel in Walterboro, SC. Funeral services will be held 1 pm Saturday, February 16, 2019 at Saints Center Ministry in Walterboro, SC. Allen Funeral Home of Walterboro in charge.